The Boreal forest is essential to Canada and the world, storing carbon, purifying water and air and regulating climate. But keeping tabs on the health of this vulnerable biome has proven to be a painstaking and time-consuming undertaking - until now. Cutting-edge DNA metabarcoding technology developed by the University of Guelph can help speed up and improve the monitoring process, according to a new study published today in Scientific Reports. "We get a lot more information out of DNA, and we were able to reproduce the data and the interpretations of the data that the standard morphology approach provided," said study co-author Mehrdad Hajibabaei, a professor in U of G's Department of Integrative Biology. In the study, researchers compared use of advanced DNA meta-barcoding technology—identifying DNA from many aquatic organisms at once—with hands-on identification of invertebrate specimens, used for decades to assess ecosystem biodiversity. Accurate and timely information about the boreal ecosystem has never been more urgently needed, according to forest scientists. Rising temperatures in the boreal region are leading to degradation of permafrost, as well as more intense droughts and wildfires. Climate change is causing wildfires to burn more fiercely, pumping more greenhouse gases into the atmosphere. However, federal scientists have been challenged by the sheer volume of bio-monitoring needed for Canada's forest integrity program, Hajibabaei said. "They need to assess the health of this forest, and one way to do that is to look at the presence of invertebrates in the streams." Stream health is an indicator of overall forest health and biodiversity. The time-tested but time-consuming approach was to manually collect specimens by hand and then identify indicator organisms. "Natural Resources Canada wanted to get into using the approach - DNA metabarcoding - that my lab has been researching for quite some time," Hajibabaei said. "They approached us and we initiated this collaboration. The importance of this work is both in terms of taking this approach into a real-world scenario and helping to address the needs of Canadian Forest Service for timely monitoring." Metabarcoding is quick and highly effective at detecting many different aquatic organisms in water, Hajibabaei said. Identifying invertebrates manually takes time and requires experts, whose results may not always be consistent, he added. Another important aspect of the work is that it can be applied to an environmental gradient, measuring fluctuations in conditions based on various stressors and processes, Hajibabaei said. 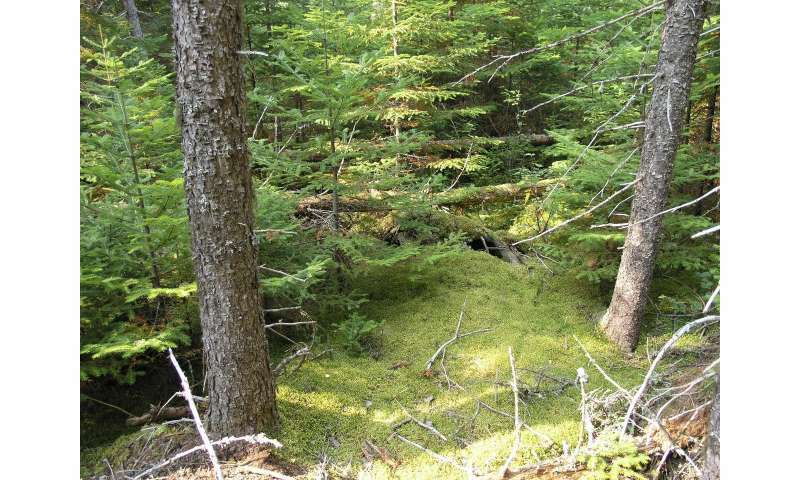 The study involved scientists from U of G's Centre for Biodiversity Genomics and Natural Resources Canada's Great Lakes Forestry Centre in Sault Ste. Marie. The study calls metabarcoding "a potentially transformative approach to biomonitoring, biodiversity discovery and ecosystem health assessments." The findings give Natural Resources Canada more confidence in DNA monitoring, Hajibabaei said. "Obviously if they want to mitigate any type of impact, faster and more high throughput approaches are always in demand."